Dr. Jasmin Feist is a Mason County Native who grew up in Belfair and graduated from North Mason High School. She was very active in the Mason County 4-H program and competed around the Pacific Northwest barrel racing. Dr. Feist completed part of her undergraduate coursework at Olympic College through the Running Start program, prior to attending Washington State University. She received her Bachelors in Animal Science from Washington State University and completed her Doctor of Veterinary Medicine from WSU in May of 2013. She is an avid COUG, and a football fan through and through. Dr. Feist has experience in both small and large animals, although her passion is horses. She has a strong interest in equine reproduction and lameness. With her free time, Dr. Feist enjoys barrel racing her AQHA gelding, Leo. She continues to stay involved in Mason County 4-H and the Mason Area Fair. 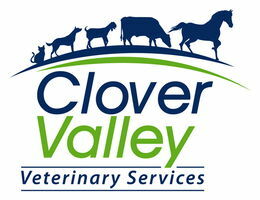 She is a member of Washington State Veterinary Medical Association, American Veterinary Medical Association, and American Association of Equine Practitioners.